As I spend Christmas Time and Restdays alone, i thought of looking back on the things that happened to me this year: may it be related to work or just the my plain playful self. As I started looking back with the pictures saved and events noted in my facebook account, I cant help but smile and be thankful for the achievements I have. Lord you’ve been awesome and great and ever generous to me this 2012. I don't know how to start thanking you, but I hope what I have in mind in the coming days and weeks and as i start off 2013, I hope I will be doing the things that’s bound for me. I started the Year with a Life Celebration as I gazed the 2012 Sinulog Festival in my Hometown. It’s not as fun and as memorable as we have in the past years, but then again, the thought of celebrating it by thanking the Lord for a wonderful start, with a healthy self and a stable job will be worth it. To add, some of my agents graced the festivity as well. Luiji, Caryll, Dane, Che and Irene :). Thank you also Iya for the yummy treats. Nothing really memorable except that we had our first ever cluster outing in La Vista Highland Resort in Don Salvador Benedicto. A day where we bonded and think of nothing but having fun. Our own version of Baguio City here in Negros Occidental. The month I plotted to go and visit Bohol but I wasn't able to do so because of the Bad Weather condition. It may not be also a good time for me to go there. :’(. I am gonna make sure that this place will be visited this 2013. 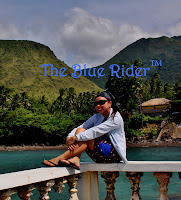 Again I invaded Panay: Iloilo, Capiz and I went straight to Kalibo and jump off to Boracay. My second solo travel expedition. I did it in a backpackers way. I enjoyed the vacation without thinking of my expenses because I had everything in the cheapest possible way. I reunited with old friends and meet new ones along the way, I visited a childhood dream place “Sampaguita Garden” and i spend a summery overni ght in Boracay. I never realized I missed playing billiards, thanks to Emz. I bonded and laugh again with my old friends humorous approach to life. I am glad she’s happy with her family. Thanks for the friendship and the smiles Krishiel =). Oh yeah, Baby Mykan (short for Siomai and Ca nton) according to her mom. LOL . I spend a night in Roxas city and feasted myself to a seafood dinner at Baybay. Nothing special except for great seafood served in a cheaper price. I didnt get the chance to go to the biggest and oldest bell in Panay because I had to rush to Dumalag to attend an event. While traversing my way to Sampaguita Gardens, I met a new friend, shes one cool girl as well and loves to travel and take pictures. We exchanged thoughts and yeah she became my photographer for that day. After that tour in Sampaguita Gardens, jumped off to Caticlan for an Overnight escape to Boracay. I found a new Haven there. It’s a bit cheap, near everything you want. Located in Station 2. One memorable experience, I got stranded in Iloilo because I wasn't able to catch the last trip back to Bacolod. Nevertheless, its a blessing in disguise so I can roam the city. We visited a mystical place in the northern part of Iloilo. Isla de Gigantes. Very amusing and just captured my heart, if you want to be one with nature. You have to get to this place. It’s a paradise: Beaches, Mountains, Caves… name it, they got it. They have friendly people as well, very accommodating. To top everything, its not as expensive as you thought it should be. I promised myself to go back as soon as I can. I need to visit there Lagoon. New set of people but its jam packed with everything you want in a team. I love you guys. Thank you for the hardwork and I am just so proud of you all. Yeah, they are the top team for Q2 2012. My Unbeatables Betches and Hornies: Kotz, Chel, Emman, Teddy, Marchel, Angel, Roselle, Ellen, Hazel, Camella, Camille, Kara, Jason, Kikai, Swey and Gerry. THANK YOU VERY MUCH! One notch achievement and will never be forgotten: I was chosen to be part of the RedHats team to support the launch of Video Billing in CVG Ortigas. It’s one great experience for me, my first ever business related trip to Manila =) Good Job to me. Worked with new faces and new set of agents. Meet great people from different sites. I learned a lot. Met old friends working in Manila, visited new places and of course, finally, I completed my list: The Manila Ocean Park, Star City, Enchanted Kingdom, Intramuros a lot more =). I met Jed Madela in person, and he is awesome as expected. Living the suite life too is pretty much amazing. What more can I ask for. I am simply honored and grateful. Thank you Lord for the opportunity. To my Waves 3, 12 and 21, i really had a great time bonding a nd teaching them all. To t he Rob TLs: Beegee, Edmer and Thea, these guys were soo cool. Logan RedHats: Matt, Brooke, Ethan and Zach… EO P please… but I got a lot of helpful tips. I will miss having lunch with them eating bare hands ^_^. To rest of the Bacolod and Cebu Folks: Julie, Vince, Third, Jerhart, Bess, Kaye, Friend Marco and Ysh, and my travel buddy Fitz G. thanks for the friendship: the laugh trip and attitude moments. Lastly: Hadj i, Zie, Ria, Shai, Abby, Jona, Dean and Chad… I couldn't thank you enough for making my stay very memorable. Before i even forget… hehehe to my Lakwatsa Buddy JI.. i missed you dude.. its good to see you again. Start t he month right with a benefit concert from my all time favorite Side A Band, followed by a Gift Giving activity for our cluster and well the CVG Acoustic Christmas Party which i joined because Juris is there . Indeed I had a very meaningful year this 2012. To all who made this a blast. NO WORDS CAN EVER EXPRESS HOW GRATEFUL AND THANKFUL I AM. As I will always say, LIFE IS MEANT TO BE LIVED, NOT TO BE WATCHED. One chapter finished, Im moving on to the next one. I wanted to move away from my urban life or escape maybe from the toxic world I'm in. I wanted to discover new cultures and lifestyle from these places. I wanted to assess myself where i wanted to be and create a better and wider perspective of the world and grow as a person. I wanted to fulfill a dream of exploring the country in my own way. These are some of the few reasons I can think of right now why i always want to travel. Aside from that, my adventure-seeking spirit is also fueling this desire. My never ending curiosity because of the frequent write ups I read through the post of travel bloggers I'm following. So, if I have this desire of exploring and being into new places most of the time, am I considered a traveler? My officemates would sometimes tease me as the Local Dora because i always roam and go to places alone. Will this sole reason be a definition for being a traveler? I've been to a lot of places, famous and sometimes off beaten, but I still don't have a clear definition on who i really am, but definitely not a traveler. Maybe I just love to travel, I am just giving justice to myself by doing what I love to do. Traveler for me is a heavy word that can only be associated to a person who wont live a day not in the road or maybe in a place that he/she is destined to be. The truth is that I don’t really care. I don’t want to complicate my already complicated life thinking of putting a label on what I'm fond of doing. I spent a lot of time thinking whether I am really a writer, an artist, or whatever. But today, I just do what I want to do. I think that’s the most important thing. You are living with your passion. Travelers don’t become travelers because they call themselves that. The love of traveling comes first. So am I a traveler? Grieving for a lost buddy.. I will never ever forget this date in my entire life. December 2, 2012, I lost one of my precious possession. My HTC Titan II Mobile Phone. I simply loved this gadget because its jam packed with all the application I needed in my day to day activities. Boasting its magnificence through its 16 Megapixel Camera with perfect settings, just the way I like it. I was on my way home, dropped by a Barbeque stand to buy my dinner. When I'm done paying for my food, I hurriedly cross the street to catch the next departing jeepney that will take me home. I just noticed something strange, I can really feel it. I just realized when I arrived at the terminal that I lost it. 2 weeks, I had that for ONLY 2 weeks and it slipped away. I wish I could still turn back the time, I wished I never passed that way, I wished I never bought that dinner in that place,and most of all, I wish I could've been careful. But that’s just about it, hard life lessons learned. I will make sure that I will take care what ever I have right now with extra caution and more observant to my environment. Cheers to my Favorite, I had an awesome capturing experience with you HTC Titan II, I think this is it. Hope to see you again. To the next person who will use my phone, please do take care my BELOVED PHONE. Caught up in a serene sight of the mountains and gasping view of the city landscape, my team and I found ourselves on top of one of the highest grounds of Negros Occidental. Guintubdan Campsite is situated in Barangay Ara-al, La Carlota. It is a small village some 750 meters above sea level and is found at the western foot of Mt. Kanlaon. Near the camspite is the Guintubdan Visitors Reception Center and Gardens. It’s grounds are open for guest who wished to spend their nights camping and being one with nature. The place is a sure way to take off your stress from the buzzing city life. Here I felt like reconnecting myself with nature, the cold winds and fresh air reminded me that life is a heavenly bliss. I am used to travelling alone, it gave me the freedom to choose whatever, whenever and wherever I wanna go. Found myself strolling early in the morning and I saw the twilight of the moon glaring, reminded me of the amazing creator, how he crafted things to be majestically beautiful. To top the experience, the Majestic Waterfalls. Hearing the ravaging sound of the falling water simply reminded me that yeah, I am close to nature. This is the life I always wanted to have: Carefree and Stress Free. I described the falls as majestic because I saw a rainbow . Dip and splash in the cool waters will surely take whatever worries you have. It made me feel renewed and ready to kick off after this overnight encounter with nature. Its one heaven on earth. From Bacolod – take a jeepney bound to Libertad Terminal and look for Buses bound to La Carlota. Will take an hour to reach La Carlota City depends on the road condition. Upon arriving at the city proper tell the driver to drop you off to the city market where you can find jeepneys bound to Guintubdan. From La Carlota to Guintubdan will take around 45 minutes but surely you’ll enjoy the ride because of the scenic landscapes by the road. ** These are non AC room as you don’t need one because its cold here.